The Industrial Revolution began in Great Britain and then spread across the United States and the rest of the world. The revolution in Britain is often called the First Industrial Revolution while the later worldwide revolution is referred to as the Second Industrial Revolution. There is a debate among historians about the precise dates of the beginning and end of the First Industrial Revolution. It is generally believed to have taken place in the time between 1760 and 1840 in Britain primarily due to innovations in machine technologies that led to higher productivity. The Industrial Revolution marks a major turning point in history as it hugely impacted the way societies in the world would function in the years to come. Know what started the Industrial Revolution and why it originated in Great Britain through its 10 most important causes. Though the European states had frequently fought amongst each other for many centuries, by the mid-18th century many of them were rising colonial powers. What was at stake now was competition for being a global world superpower. In the beginning of the 18th century, Britain had just a quarter and two thirds the population of France and Spain respectively. It was thus under constant pressure fighting against these perennial and larger enemies. 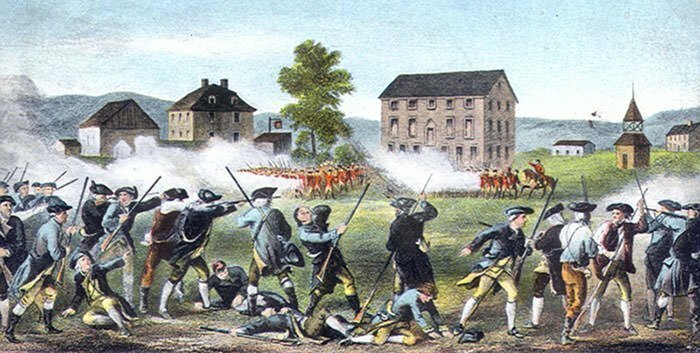 The British engaged in many major wars during this period like Austrian war of succession (1740-48), Seven Years‘ War (1756-63), American Revolutionary War (1775-83) and the Napoleonic Wars (1803-15) to name a few. The need to keep up with the enemy put tremendous pressure on the country to produce more. This desperate need incentivized the invention of labour-saving devices, which played a key role in the revolution. Most historians do not agree on the exact period of the Scientific Revolution in Europe. Many define it within the times of Nicolaus Copernicus (1473-1543) and Isaac Newton (1642-1727). The Scientific Revolution refers to European developments changing conceptual, cultural, social and institutional relationships involving nature, knowledge and belief. 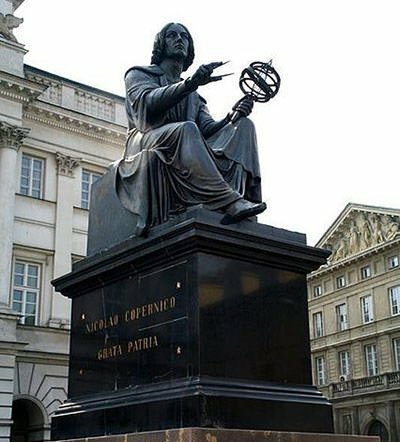 In the early 16th century, Copernicus presented his simple heliocentric hypothesis. With the bold claim that the Earth moves around the sun, Copernicus challenged tradition, the authority of the scriptures and the established views in the universities and the church. In the coming decades, Europe gradually became more open to ideas with the scientific works of several prominent scientists including Galileo Galilei (1564-1642), René Descartes (1596-1650), Christiaan Huygens (1629-1695) and, of course, Isaac Newton. The rise in scientific temperament and a society more open to ideas formed a fertile ground for innovations and newer ideas. Enclosed fields – putting common grazing grounds under cultivation by establishing exclusive ownership of those lands. British farmer Charles Townsend (1674 – 1738) popularized these ideas in Britain increasing the food production. The enclosure movement started where a lot of land was confiscated by the big firms and it gave them the freedom to implement their own ideas. Jethro Tull (1674 – 1741) devised a new method of sowing seeds using a drill instead of dispersing them by hand saving labour and contributing in higher agricultural yields. The discovery of new world crops like corn, tomato and especially potato was a boon. The high caloric value of potato, easier growing methods and maintenance, was vastly helpful in curbing hunger. Increased food production meant that the British population could be fed at lower prices with less effort than ever before. This rise in productivity accelerated the decline of the agricultural share of the labour force and added to the urban workforce on which industrialization depended. During 18th century Britain there was a long time constitutional monarchy and the nation was politically more stable than its challengers like France and Spain. This allowed for better policy formation and implementation. The government maintained a patent system which gave exclusive rights over innovations to their inventors for a limited number of years. This hugely helped in financing of newer ideas. The enclosure system allowed private ownership of farm lands which were common before thereby encouraging capitalism and forming the industrial class of the future. Another important policy was allowing the inflow of immigrants for enhancing the skill and development of the industry which also led to the weakening of the guilds. Contrary policies in other European states is often cited as a major reason for their delayed industrialization. By the mid-18th century Britain had a sizeable overseas empire and their victories at the battles of Plassey and Buxar had given them political influence over major parts of India, especially in the cotton industries and trade hub of Bengal. Control over India, the cotton producing and manufacturing hub of the world, would fuel the demand for invention of cotton spinning machines in Britain. The natural, agricultural, human and mineral resources of India formed the backbone of Britain and it was made the jewel in the crown of the British Empire. The empire of Britain continued to expand becoming the dominant global power for close to two centuries. The British colonies were a source of raw materials and labour; and also served as markets for the Industry. Innovation and new technology was obviously the key factor in the success of Industrial Revolution. In 1700, Britain was known for its woollen industry but cotton textiles had many production advantages over other types of cloth. It was comparatively cheaper, stronger and more easily coloured and washed than wool or linen. However there were two challenges due to which Britain did not grow cotton: its cold climate; and not enough manpower to meet the demand. Thus they traded with cotton producers far across the world, such as India and the southern United States. However, it was the innovations in weaving techniques that enabled their industry. In 1733, James Kay improved on the old handloom making his simple flying shuttle which doubled worker productivity. The main challenge was to create a subtle mechanized device for pulling and twisting the cotton fiber just the right amount to create a strong thread. The invention of the Spinning Jenny by James Hargreaves in 1764 solved this problem and increased the productivity eightfold. 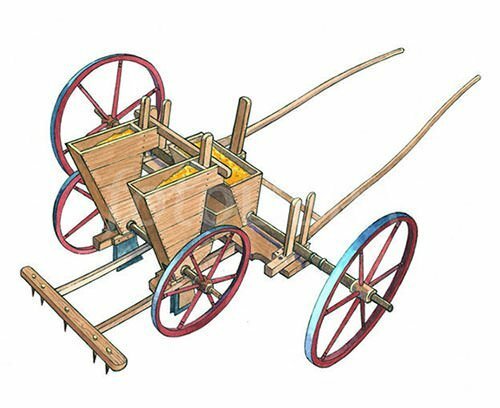 In 1769, Richard Arkwright worked on the ideas of Jon Kay and devised a method to hook up the Jenny to a water wheel calling it the water frame. This invention led to the first factory that completed the process of raw material to finished cloth at a single point. This then ushered the factory system, which was key to the Industrial Revolution. 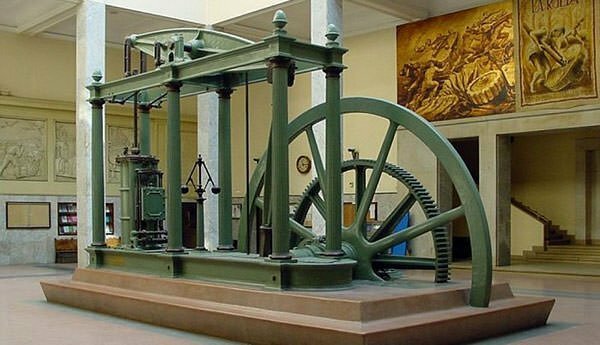 The defining invention of the Industrial Revolution was perhaps the Steam Engine of James Watt in late 1760s which was primarily invented to pull water from the coal mines. However, it also powered the textile industry with innovations like the power mule and power loom. The steam powered engine allowed industries to move away from water (water frames were used). Most importantly it led to the steam powered carriage allowing transportation of goods like never before. In the year 1700, Britain had an estimated population of around 4 million. This was a quarter of the population of its European rival France and around 4% of India and China, which were the leading economies of the time. In a world without machines lack of working hands was a big disadvantage. The agricultural revolution gave the society enough food and the population grew rapidly throughout the century, more than doubling itself in a hundred years. This led to Britain having enough labour to feed its industrial growth. 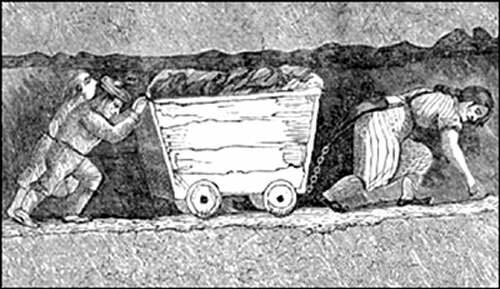 Britain was blessed with vast coal and iron reserves which proved valuable for the evolution of industries. Large quantities of coal was required for smelting of iron ores, transportation etc. The demand would further increase with the invention of the coal powered steam engine. This necessitated improvement in the techniques of coal mining. Continuous efforts were made to refine iron and make it cheaper which allowed England to stop importing iron from northern Europe and instead to create the largest iron industry in the world. This cheaper and stronger iron galvanized every major industry including construction, tools, shipbuilding, textile inventions, steam engines and railroads. Britain had financial institutions in place since the early 18th century; such as a central bank, county banks and a stock exchange to finance new ventures. By 1760, the rising political and commercial influence of Britain in the world and profits it had enjoyed due to the booming cotton and trade industries, allowed wealth (capital) to be created. The rise of Capitalists increased the need for security for their money; opportunity for investment and growth; and availability of circulating capital for everyday running. Specialist banks, with knowledge of certain industries and areas, grew up to take full advantage of this situation. Banks made a profit by keeping a cash reserve and lending out sums to gain interest something that is commonly known as the fractional reserve system today. The early entrepreneurs were capitalists, financiers, inventors, merchants and salesmen; and the businesses were individually based and small. With time, shareholders and joint stock companies emerged which changed the future of how business would be run. Transport systems in Britain were rudimentary in the early 18th century. With the rising economy there was pressure to improve the roads. In the 1750s, the Turnpike trusts emerged. The Turnpike trusts were groups of people who maintained the roads full time and received toll in return of their services. There were close to 1700 such groups until the government took over. The canal systems were built and soon became a popular source of transportation since they were economical and reliable. Boats on the canal were pulled by horses that walked on either side of the canal on tow paths. Early railways consisted of wooden tracks linking coal mines to rivers and canals; and carriages were pulled by horses. The invention of the steam engine and iron technologies later powered the transportation industry. The challenge of transportation which could hinder the progress of the Industrial Revolution was thus finally overcome.